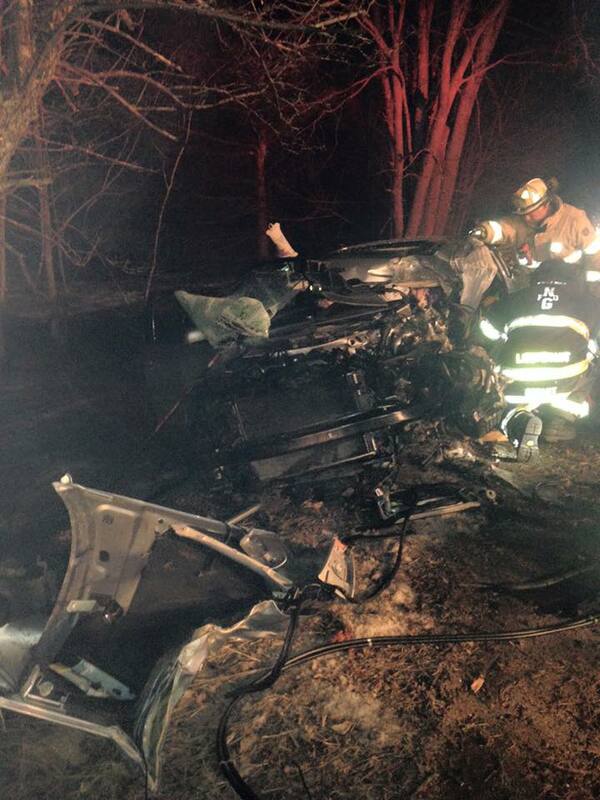 New Gloucester, Maine – On Wednesday February 17, 2016 at 7:51PM the New Gloucester Fire and Rescue Department was dispatched to a motor vehicle accident at 1156 Lewiston Road (100/202). Fire & EMS personnel first on scene reported one vehicle with an occupant trapped with heavy damage to the vehicle. New Gloucester personnel closed Route 100/202. The vehicle in the crash was a 4 door sedan. Fire & EMS crews assessed the scene and patient, developing a plan of extrication. Due to the heavy damage to the vehicle and positioning of the occupant, the extrication of the patient took over an hour. Over a dozen of New Gloucester’s Fire & EMS members worked the scene. LifeFlight of Maine was requested to the scene due to the anticipated length of time for the extrication and the patient’s possible injuries. “The Fire & EMS crews found the extrication very challenging due to the extent of the damage to the vehicle and injuries to the patient and positioning,” replied New Gloucester Captain Scott Doyle.” “Patient extrications require a true, methodical process in order to accomplish a safe and successful removal of a patient. Every action has a reaction when cutting vehicles,” added Captain Doyle. “LIKE” New Gloucester Fire Rescue on Facebook, stay connected. This entry was posted in News and tagged community, local government, NGFR, Upper Village. Bookmark the permalink.